Dewey beach is not just a beach; it’s a way of life, say the revelers coming here year after year almost religiously. The small beach town that it is, it is simply surprising how so many devotees have been attracted. Closer inspection will reveal the truth. The beach is not one of those crowded locations visited by one and all. The beach is one of the most beautiful, the atmosphere is perfectly serene. The beach resort here is mainly popuilar with a young crowd. There are a huge number of attractive young people coming here every summer. As a result of all these young people coming here, Dewey Beach has a huge party culture. There are a number of excellent nightclubs here, plus a good number of the best bars, pubs and other hang outs that are popular wit the young. There is a whole number of bars and nightclubs lining the beach here. There are visitors that come to Dewey beach from locations all over the United States, but the main concentration is in states such as New York City, Baltimore, Wilmington, Virginia, Arlington, Washington DC and Philadelphia. 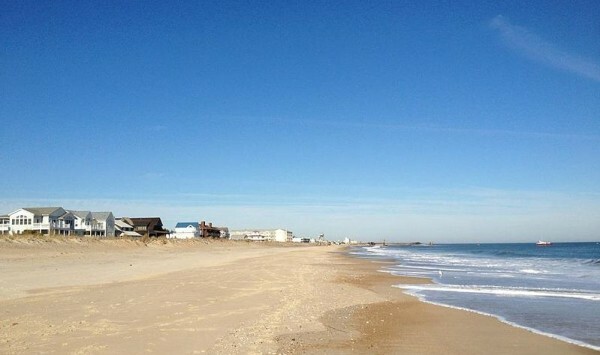 Dewey beach stands out from the run of the mill beach destination in a huge number of ways. One factor that I noticed is that the locals here seem genuinely friendly and are always anxious to be o0f service. If you stand in a street corner muttering to yourself with a map in your hand, more often than not, a friendly resident will take the cue to come and help you find your way. They will even accompany you if you need it. There is no dearth of quality here. There are a good range of the best facilities, amenities and services here. Dewey beach is also easily accessible and well connected with respect to transport. There are a whole number of excellent bars and night clubs here that are popular with the young crowd. These are inclusive of the Venus on the Half Shell, The Starboard, The Rusty Rudder, North Beach, Lighthouse, Hammerheads, Bottle & Cork and others. These are the most popular. The most action occurs on the summer weekends. Memorial Day weekend is when the young people come here in droves to kick off summer in style. July 4 t h is another fun day, many people come here on the half way point in the summer to have a blast. Labor Day weekend is another celebratory occasion.